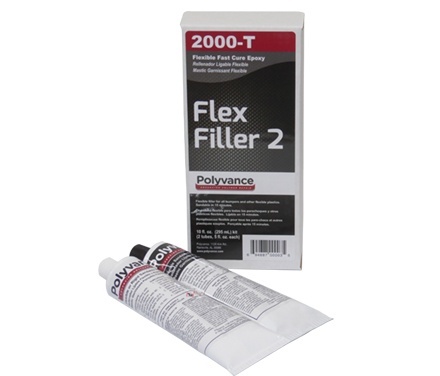 This flexible filler can be used to repair both OEM and aftermarket flexible plastic parts. This repair material works on almost any flexible plastic substrate. Flex Filler 2 will feather nicely in 12-15 minutes and can be primed and painted in 30-45 minutes after application at room temperature. Gray in color. Use 1060FP Filler Prep on TPO or PP substrates. Flex Filler is typically used as a skim coat over repair areas due to its easy sanding and featheredging characteristics. Clean Sheets, 8.5 in. x 11 in.